Stay with a local in New Zealand through a work exchange! New Zealand: you’ve seen the landscape, you’ve seen the wildlife, you’ve seen adventure, now see “the Kiwi way”. Undoubtedly, the best way to do that is to stay with locals because, yes, New Zealand is a country where locals are extremely welcoming. 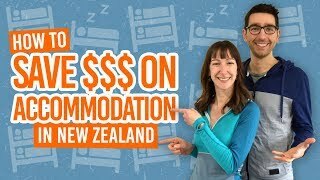 It is common practice for New Zealanders to open their doors to backpackers, whether it’s to make a bit extra cash out of their spare room or just to help a fellow human being out! A popular way to stay with locals in New Zealand is through working for accommodation. Not only does it feel like you have earned your place in the family household, but it’s really the best way to experience the Kiwi culture and experience the lifestyle firsthand. But you clicked on this article to read this in list form, right? So without further ado, here are the 10 reasons why working for accommodation is the best way to stay with locals in New Zealand. We start this list with the phrase you hate the most: “Gain valuable work experience.” But as explained in our Gap Year CV article, just because you are taking a gap year it doesn’t mean that you take a gap from boosting your CV or resume. Working for accommodation is usually a good place to start in New Zealand, so that you have some work experience in New Zealand to pop on your CV before applying for waged a job. 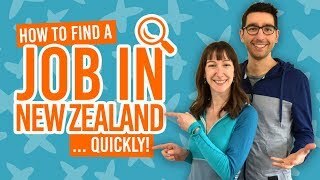 Follow these tips on How to Quickly Find a Job in New Zealand. WWOOFing, being an au pair, using HelpX, etc: it often involves you staying in a family home. With this, you’ll be sharing their lifestyle. Whether it’s bushwalking, fishing, hunting, farming, 4×4 driving, you’ll be involved with your host’s work and play activities. Who knows what crazy Kiwi fun you’ll have?! Find out more ways to work for accommodation in 6 Ways to Work For Accommodation in New Zealand. Everyone’s got to eat! Most work for accommodation agreements, such as WWOOFing, include at least breakfast and dinner. Whether it’s a fresh catch of fish or veggies straight from the garden, you’re bound to educate your palette when staying with locals. Kiwis tend to have a good ethos of “living off the land” in a sustainable manner, so you can learn a lot from them. Return a favour and cook for your hosts using these recipes in 5 Traditional New Zealand Recipes. Most work for accommodation opportunities, except for when working in a hostel, provide you with your own room. Even if you have only been travelling for a few weeks, this feels like such a luxury. No more snoring in bunk rooms, squeaky bunk beds, rustling of plastic bags in the night… As much as we love the cheapness and sociability of hostel dorm rooms, you have to admit that a room to yourself feels pretty damn good. On the other end of the scale, you might never want to sleep alone in a room again! In that case, you better see 10 Lessons You’ll Only Learn When Working in a Hostel. Free in the sense that there is no currency involved, therefore, you can save your precious dollars for your next stint of travel. The usual “work for accommodation” deal is you working for 3-5 hours, five days a week in exchange for food and accommodation (and probably a few little extras like access to the car). For more information, check out what are your rights on a working holiday visa. When working for accommodation, you’ll have plenty of time to explore the local area. Your hosts should be able to point you in the direction of all the highlights and more (or take you to these places themselves). If you ever get stuck on what to do, check out our New Zealand Guides to each town, city, region and national park in New Zealand. If you haven’t adapted enough from crossing the world to live, work and travel in a different country, then staying with locals will certainly will! You will have to adapt to their lifestyle. As you know, life throws all sorts of challenges at you whether it be in your job or in your personal life. You’ll be more likely to handle these challenges with your new adaptable self! This is also just one of 17 lessons only travelling in New Zealand can teach you. Not only is it likely that your hosts have at least one of these, their likely to have all three! Who doesn’t like to play with pet dogs and cats, feed the lambs, and shear the alpacas? Children are an acquired taste, but those who love kids will be a life-saver for Kiwi parents. If you do like kids, then you might want to check out Being an Au Pair in New Zealand. If you have got this far down the list and you don’t speak English very well, then good on you! You really want to improve your English! As well as reading BackpackerGuide.NZ, another great way to improve your spoken English is by staying with locals. You’ll be speaking English so often with your hosts that one day it will finally “click”. Being bilingual is awesome! When you have nailed English. Try learning Maori. Here’s something to start with Backpacker’s Guide to the Maori Language: te reo Maori. If staying with locals is at the top of your “NZ Must Do” list, then working for accommodation is the best way to actually build a relationship with them. Unlike AirBNB, Counchsurfing, etc. you spend a substantial amount of time with locals rather than the quick night here and couple of nights there. The minimum time of stay when working for accommodation is usually about two weeks, giving you plenty of time to actually get to know your hosts and build a friendship. Because we know that building relationships when travelling abroad is important, here’s 10 Ways to Meet People When Travelling Alone.